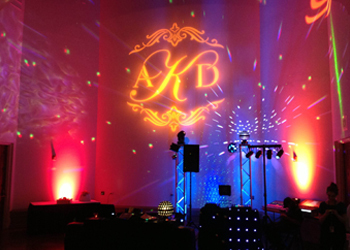 Our professional uplighting brings a wonderful touch of elegance to your celebration. 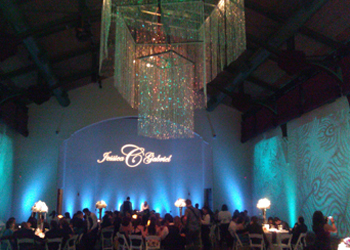 The colors and design you choose help set the overall mood to any reception or party. We offer a wide variety of different styles and unique designs. We can match colors to your overall decor. 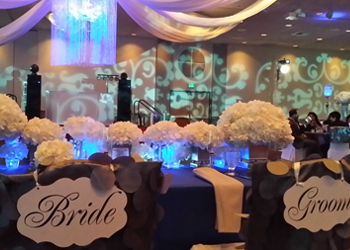 Our uplighting is an affordable option to add that special touch of elegance to your event. Imagine your dance floor or above the DJ, your names as husband and wife. 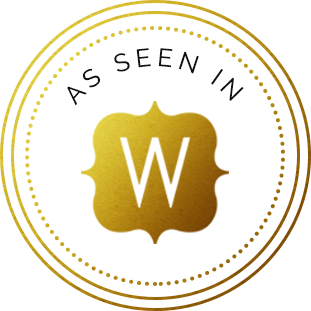 If you want to add that personal touch, a professional monogram is just what you have been looking for.